Former rally driving champion Rosemary Smith was honoured by the Lord Mayor of Dublin last evening, for her 'great achievements as a driver in Motorsports world-wide', writes Trish Whelan. 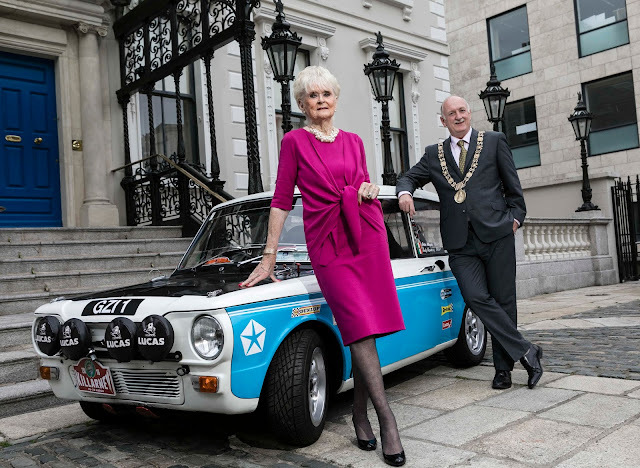 The event in the Mansion House was attended by many of her friends from the Irish motor industry and the world of motor racing. 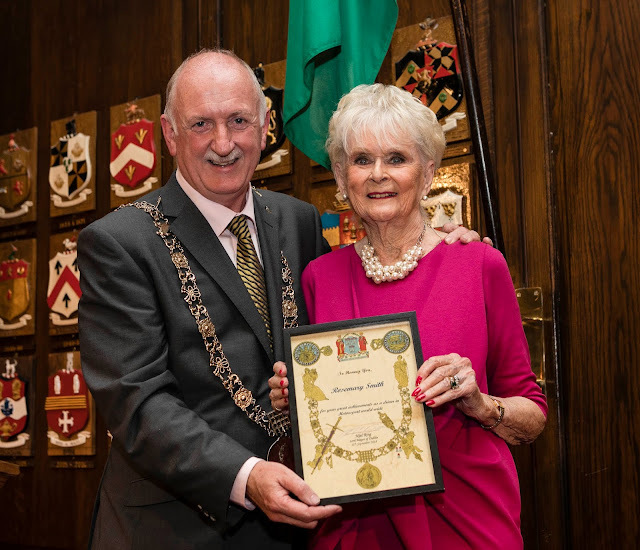 She's pictured with the Lord Mayor, Cllr Nial Ring, who described her as a 'beautiful lady who has added yet another great occasion at the Mansion House for me to remember when they finally get me out of here!" The car is the Hillman Imp in which Rosemary won the 1965 Tulip Rally. In 2017 she did a test drive with the show car of Renault F1 on the Circuit Paul Ricard as part of a filming day. This made her the oldest person to drive an 800bhp race car. Rosemary is an ambassador for Renault Ireland.